Salvador de Bahia, capital of Bahia was founded in 1549. 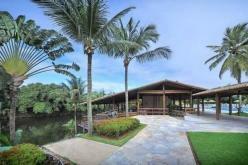 It is situated on a hill overlooking the Todos os Santos Bay. Salvador was the first capital of Brazil. It was well known because of its port activites and because of its sugar exportation. These two activities made a contribution to make the mixed population of Portuguese and African slaves which were imported in large scales for the sugar cane cultivation. Then, at the end of XIX century, other ethnic contingents arrived and gave rise to a very rich popular culture that mixed aspects of western, eastern and African cultures. In 1763 the capital moved to Río de Janeiro because of the Portuguese Crown interests. Package Copa America Group Stage Colombia Matches: If you are visiting Salvador, consider the tour . We had a really great time! Historic City Tour: If you are visiting Salvador, consider the tour Historic City Tour. We had a really great time! Praia Do Forte & Guarajuba Beach Day Trip: If you are visiting Salvador, consider the tour Praia Do Forte & Guarajuba Beach Day Trip. We had a really great time! Copa América Package Group Stage One Match: If you are looking for what to do in Salvador, you should consider booking the tour . It´ll be an experience you won´t forget! Package Copa America Group Stage Argentina Matches: If you are looking for what to do in Salvador, you should consider booking the tour . It´ll be an experience you won´t forget! Round Trip Transfer Airport - Hotel In Praia Do Forte - Airport: If you are looking for what to do in Salvador, you should consider booking the tour . It´ll be an experience you won´t forget! Transfer From Salvador Airport To Hotels In Praia Do Forte: If you are looking for what to do in Salvador, you should consider booking the tour . It´ll be an experience you won´t forget! 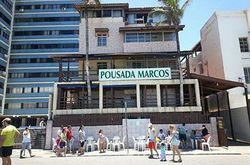 Transfer Salvador Hotel - Morro Sao Paulo - Salvador Hotel: If you are looking for what to do in Salvador, you should consider booking the tour Transfer Salvador Hotel - Morro Sao Paulo - Salvador Hotel. It´ll be an experience you won´t forget!